Q. 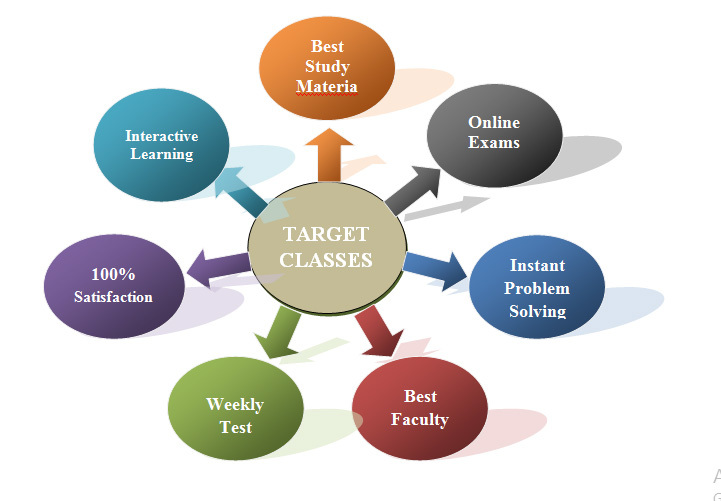 Why Target IIT-JEE/PMT/FOUNDATION Class Over Other Institutes? Academic Planner: Our Academic Planner helps student’s year- long career plane to complete the syllabus. An structured Planned specially by our expert team of highly experienced faculties, for our wards to provide date wise description of the various topic and chapters along with the number of lectures that will be covered during the entire program of their studies at TARGET. It provides stress free to student's efforts through daily routine of each month. The added benefit of the planner is that the student will get to know when to start preparation for examinations (Boards). Best college Team: Our Top Faculty Team member enables students to cop-up the whole syllabus via academic planner. Scientific Teaching Methodology: Our scientific researched teaching method cares each student performance check. Target commit Student teacher ratio of 15:1. Customised Study Material: Our Study Material is developed in such as pattern that the clarity level of the students at each level gets accelerate. It makes learning process easy and fun at every stage for the students. Small Batch Size: Our Batch Size allows students to learn with faculty most efficiently. The doubt clearing session makes our students confident. Doubt Clearing Session: We provide Individual attention to all the students separately in our booklet discussion and doubt solving sessions. Library: All TARGET centre are downloaded with a variety of reference books which students can get issued regularly. Monthly Parents Teacher Meeting: Teachers are the strong foundation in the teaching and learning process. Without doubt, the most important individual in the practice curriculum is the faculty. With their subject knowledge, teaching experience and competencies teachers are central to any curriculum development effort, they are responsible for launching the curriculum in the classroom as well as outside. Our Parents Teacher Meeting establish better understanding between teachers and parents, to discuss problems and their solution, Planned strategies to support student’s learning. Parents can also share knowledge concerning students out-of-School and Coaching life. Special Care on Board Examination: Board faculties working in various boards as superior moderators. 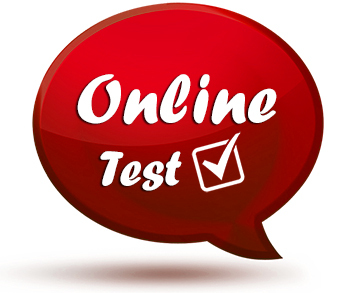 Topic – wise Regular Test: Weekly, Monthly and Quarterly tests (PAN India) with student level analysis. Online take a look at Series: Get Virtual All India Rank by appearing in Online Test Series with testing pattern similar to IIT-JEE, NEET and AIIMS etc. Mentoring System of same Age & cluster Students : Our Mentoring System of similar age and class students for the children by using innovative methods of approach of learning increase the level of each category like Excellent, Good, even Average students in our Class Room Program. Rank Development Platform: Rank development platform are designed in order to reinforce explained performance and self-motivate in securing Top Rank in India. 14. Concept of Deliver Examination Smartly: Our Concept delivering examination smartly, helps the student to improve the marks day by day authentically. Time Management Skill: Our Time Management Skill enables students to attempt question within limited prescribed time smartly. 16. Interest and Concept Improvement: Our Interest and Concept Improvement method drives an excellent role to accelerate the score of students in each subject individually at regular interval of time. 17. Stress Management and Motivational Class: Lack of clarity in theory part, undue stress of the school exams. Lack of concentration of self-confidence are some of the reasons that result in undesirable performance of the students. So, Our Stress Management and Motivational Class are conducted in order to reinforce the core concepts of our students and instill self confidence in them to crack the highly competitive exams like IIT-JEE Main, Advance, NEET and AIMS. 18. Monthly Individual Counseling System: Counseling is a very important ingredient in graphing students' performance, behavior. These arts; psychological, family issues and above all indiscipline disputes; which, if not taken care can lead students to make wrong and uninformed decisions. Our Monthly Individual Counseling System prefers the administration team to resolve the issues before time. Student Analysis Portal: Macro and Micro level analysis of student's performance up to 30: Subject wise, Topic wise, Question wise, Negative marks, Comparison with toppers and others. Student Monitoring System: Attendance system of Biometric, Surveillance of CCTV Classroom, SMS Alerts, Emails, Notifications. Call back facility in case student is absconding without prior information to the coaching institute. Get Kota college Advantages: There are recording classes of top faculties of Kota. Get Kota Faculty advantages like variety of concept, examples, application etc. in Delhi and other states like West Bengal, Odisha, Assam, Karnataka, Andhara Pradesh, MP.